The Sacramento Kings started their new season last month with a surprising amount of fan and business support. 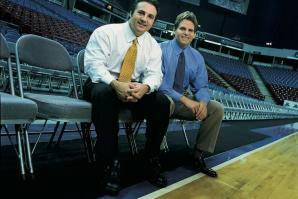 Surprising, that is, given the infuriating behavior of the owners, the Maloof brothers, last April. First they endorsed a new arena plan painstakingly put together by the city and private developers, then backed out of it days later. Despite that behavior and six seasons of mediocre basketball, more than 80 percent of last year’s season ticket holders have renewed. Advertisers followed, chasing a fan base that represents a very attractive market. In truth, most of us sports fans are loyal to a fault. We’re still hoping for a return to the days of Chris Weber, Mike Bibby, Jason Williams and others Sports Illustrated dubbed “The Greatest Show on Court” in 2001. So far, we see the kinds of improvements that just might get us there. The younger players seem to be making a determined effort to improve their skills, and the team as a whole seems to be maturing. Too bad we can’t say the same about the owners, who still seem prepared to abandon a loyal fan base for whichever city will build them an arena with little or no Maloof investment. I certainly recognize the continued frustration with the Maloofs and their self-serving antics. But, I also think it’s important to step back and take a long view of the current situation — something that not all of our city leaders seem eager to do. They appear to have written off the Maloofs as too frustrating to do business with. That’s a mistake. Do any of us in the business world simply shut out a partner or supplier because they have a flaky management team? Not likely. We might take extra precautions in dealing with them, but if the product or service is what we need, we work at finding ways to continue to do business. Particularly if we know it’s difficult to replace them. Let’s not kid ourselves. We wish we had different owners for the Kings, but the city can’t force the Maloofs to sell the team any more than it could convince Westfield to sell the downtown mall. 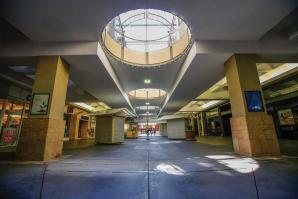 That company sold the plaza when it served Westfield’s purposes, not the city’s. Let’s not kid ourselves either about our ability to easily attract another team if we were to lose the Kings. The Kings are one of Sacramento’s jewels, and we would undoubtedly regret losing them as we worked for years to find a replacement. So the city needs to let bygones be bygones. Recognize the incredible fan base and the continued economic and social benefit of the Kings. Go back and explore equitable options, maybe even revisiting the idea of a new arena in Natomas or an extensive rehab of the existing arena. If we encourage an ongoing dialogue with the city, showing prudence and flexibility in its relationship with the Maloofs, we might even see some interest from the new mall owner, JMA Ventures, in helping to find a way to build a new arena at the downtown plaza. The city needs to stay engaged and do all it can to fix the situation. Ultimately, it may not work but city leaders need to try. What the city does not want to do is give the owners, the team and the public at large the message that, because we are tired of dealing with the Maloofs, we are prepared to say goodbye to the Kings. Already embraced by business and city leaders as a catalyst that will ultimately launch a regional renaissance, Sacramento’s long sought and hotly debated entertainment and sports complex is finally taking shape.